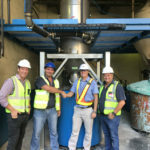 Goscor Cleaning Equipment (GCE), in partnership with authorised dealer Maverick Industrial Cleaning Solutions, recently supplied and installed a state-of-the-art Delfin vacuum system at the Tongaat Hulett sugar refinery in Rossburgh, Durban. The plant refines and packs over 610 000 tons of sugar a year, in various packaging forms ranging from sachets to bulk sugar. The project commenced late in 2018 and took about four weeks to complete. 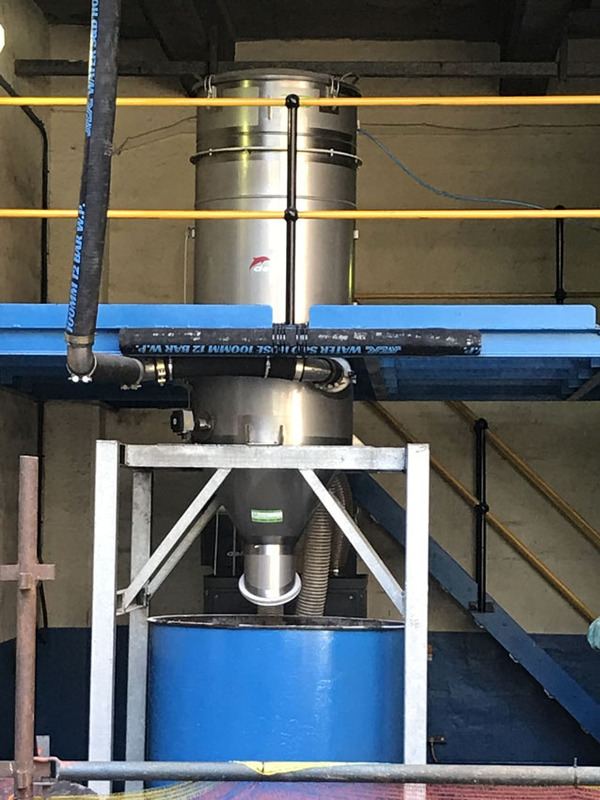 The Delfin ATEX Zone 22 compliant system consists of a CV 121 25 kW suction unit, DLF 0056 Z22 separator hopper with timer-controlled automatic reverse pulsing filters and level detector for automatic discharge. 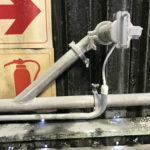 GCE National Sales Director Peter Esterhuizen explains that all these were connected to 147 m of fixed stainless-steel piping, with 11 hose connection points, of which five can be operated simultaneously. The 11 suction inlets have Z21-certified micro switches, positioned strategically inside the facility on various floors to ensure that all areas can be cleaned easily. 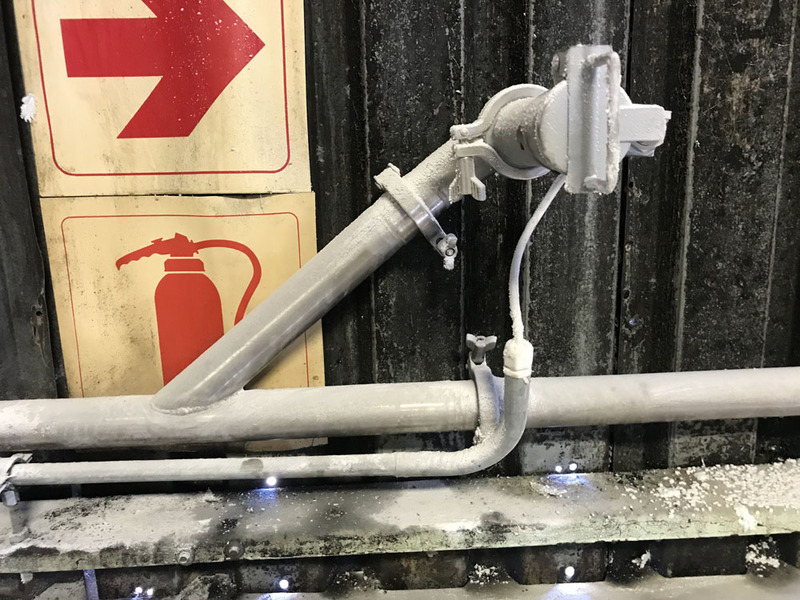 Due to the fact that sugar dust is combustible, an ATEX standard explosion-proof system was deemed necessary for this project. 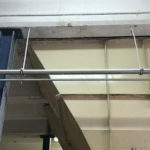 The system was supplied and installed through Maverick Industrial cleaning solutions. 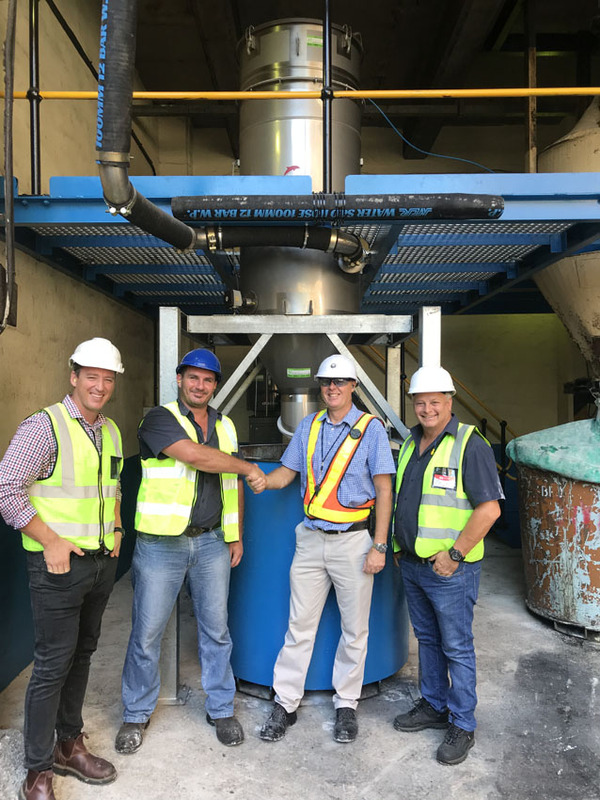 The project was led by Maverick Sales Director Duane Schwarz, who has more than 15 years’ experience in selling industrial cleaning equipment and is well-known in the KwaZulu-Natal industrial cleaning equipment sector. 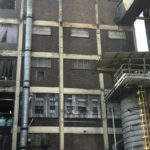 The system was required for housekeeping purposes for the pan house, which is the actual factory in which the raw sugar is refined, and hence where a specific fire-protection rating is necessary. 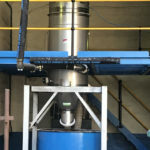 The products that needed to be collected by the vacuum system include sugar, icing sugar, castor sugar and sugar dust, at an estimated total of 750 kg to 800 kg per hour of material. This was achieved with four operators working simultaneously. 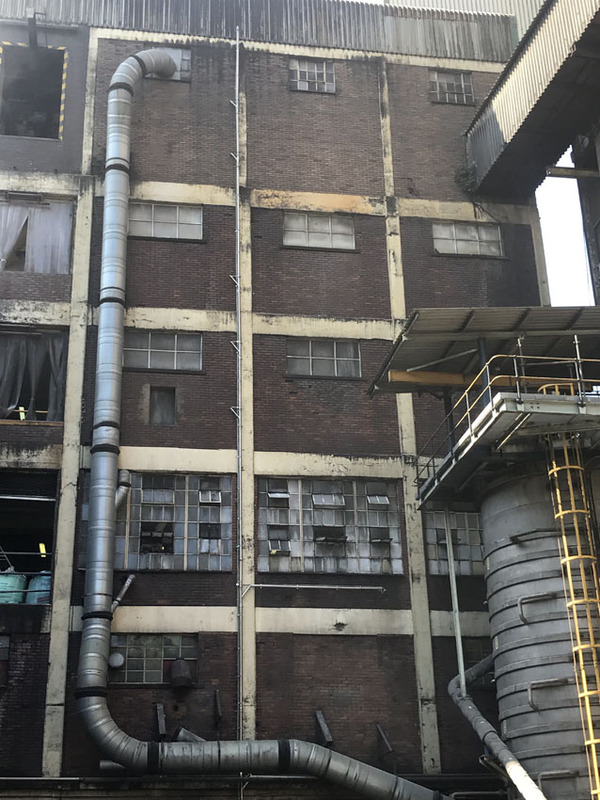 Maverick Industrial Cleaning Solutions MD Anton Nieuwoudt comments that the challenges associated with the project included working at extreme heights, which required the use of strong, stable scaffolding. Tongaat Hulett Corporate Security Manager and Refinery Health, Safety, Environment and Security Manager Grant Cockburn explains that the vacuum system was selected due to Delfin’s reputation and track record as a leading manufacturer of industrial vacuum cleaners. The reliability and durability of the Delfin system, as well as its compliance with the specifications and performance requirements of this particular project along with the trusted product support and expertise provided by Goscor and Maverick, made it the best-suited option. Esterhuizen highlights that GCE’s product range ties in exceptionally well with the agricultural sector, as demonstrated by its participation at Grain SA’s NAMPO Harvest Day in May, which is the premier agricultural tradeshow in Southern Africa. “We have machines that are suitable for every phase of the agricultural process, such as when using pressure washers to maintain equipment, to agricultural and food-processing plants where stringent Hazard and Operability Study (HAZOP) safety requirements apply. “We are able to offer solutions in terms of equipment for any cleaning need or challenge. 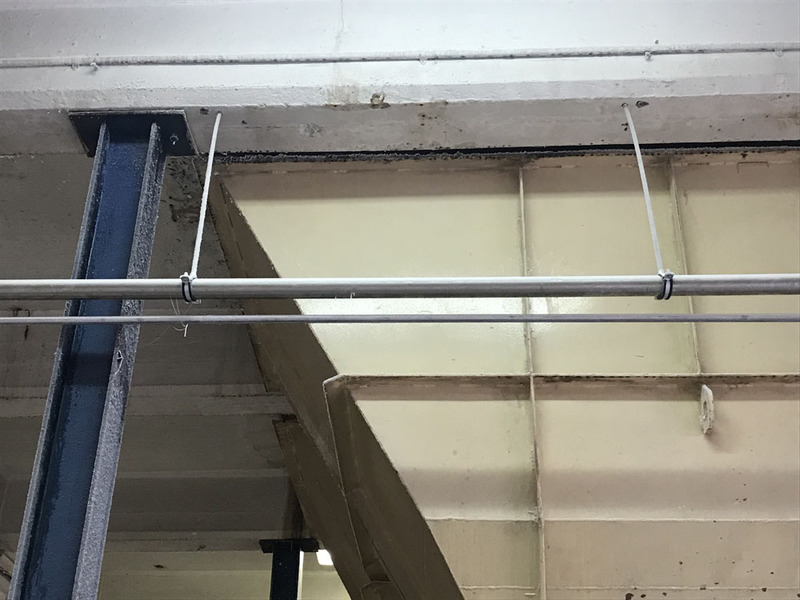 At the end of the day, we strive to ensure that cleanliness standards are maintained throughout, and that all environments are rendered safe to work in owing to their cleanliness as a result,” Esterhuizen concludes.